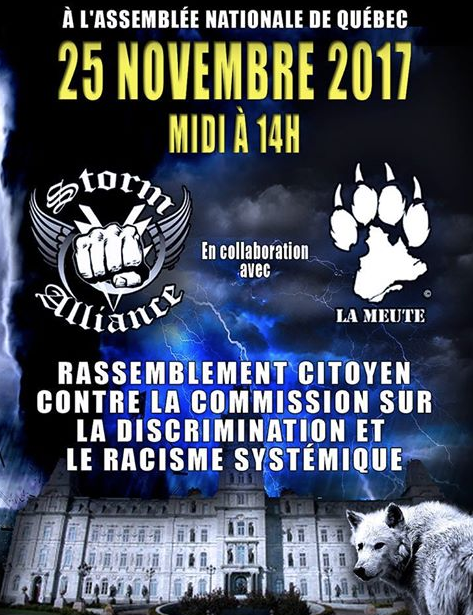 Two far-right groups, La Meute and Storm Alliance, are taking a hard stance against the Forum Validating Diversity and the Fight Against Discrimination, and are expected to demonstrate outside the National Assembly on Nov. 25 at noon. The original mandate of the commission, which was originally on systemic racism in Quebec, has been radically altered. Instead it will now focus on how Quebec can improve job opportunities for minorities and immigrants, and reduce discrimination against them in the workplace. But that hasn’t stopped the two groups from being critical of it. “The people that were put onto that commission in the first place are all people from minority groups. We have to be on that commission, by the way, but nobody invites us,” Tregget continued. Many anti-racist groups in Montreal have called out Storm Alliance for being anti-immigrant. Tregget denies the group is anti-immigrant, but their past demonstrations have attracted white-supremacists and those firmly against immigration. The last time anti-Islam group La Meute demonstrated at the National Assembly on Aug. 20, hundreds of counter-protesters came to derail their protest, leaving those from La Meute trapped in the basement they were using as a meeting point for hours. In the meantime, anti-fascist counter-demonstrations used a number of violent tactics against the police, leading Quebec City’s mayor Régis Labeaume to take to TVA the next day in an angered rant. 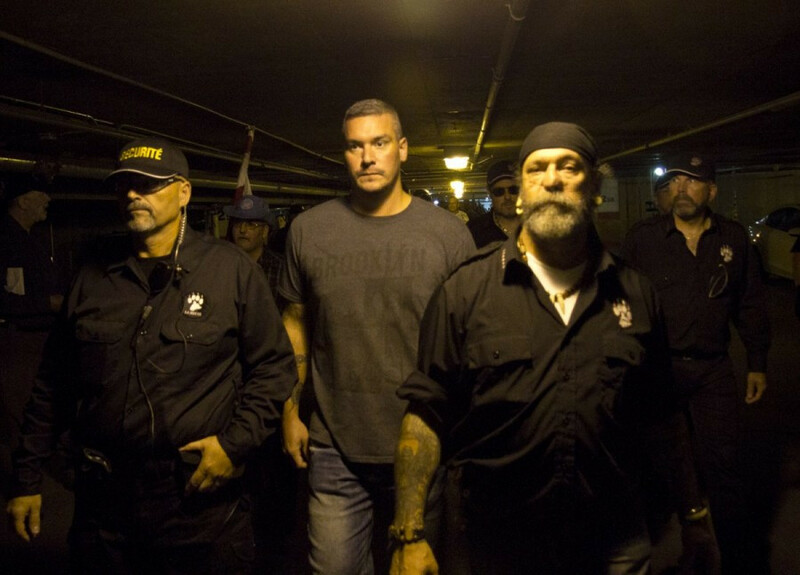 That day, La Meute came out in a show against Quebec’s recent influx of immigrants. A Montreal led counter-demonstration for the same day is being organized by Solidarity Across Borders, Montréal antifasciste, Food Against Fascism, and the Collectif de résistance antiraciste de Montréal. Counter-demonstrations planned by an organizing committee called CO25 in Quebec City are also expected. La Meute is anticipating a similar response for Nov. 25, and has opened a PayPal account so supporters can help fund a security team for the day. “We’re in need of equipment that will allow for rapid communication between our [security guards], and we’ll need protective gear to minimize the risks they might run into, in the event that physical altercations break out during defensive operations,” Sylvain Brouillette wrote through their public Facebook page. Brouillette is the spokesperson for the group, who online goes by the name Sylvain Maikan. Brouillette wrote that a top administrator had already pooled together money to pay for their security team’s equipment, and began asking supporters for donations through their public Facebook page at the end of October so they could help reimburse some of those costs. They hoped to raise $3,000 to make up for those costs. The post also said security guards will be working on a volunteer basis. Tregget said that Storm Alliance will also have a security team, but said the money being raised through that PayPal account will only go to La Meute’s team. Tregget also said both groups intend to demonstrate peacefully. As of Nov 14, Brouillette told The Link that the group had raised $1,365. Brouillette wouldn’t say what type of equipment they’ll be looking for, and turned down The Link’s request for an interview. “It indicates that they feel unable to secure their demonstrations,” said Andy, who spoke on the condition of anonymity out of concern for his own safety, and sits on an organizing committee for the Nov. 25 Montreal led counter-demonstration. “They feel that the opposition to them poses a threat, and their reaction is almost paramilitary,” he continued. Andy can’t promise that violent tactics won’t be used again on Nov. 25. “We cannot control the behaviour of everyone involved, and cannot guarantee that this will end non-violently, because we cannot guarantee that the other side will not behave in an aggressive way, to which we must respond,” he added. Andy expects there will be three to fives buses coming from Montreal to bring counter-demonstrators over. Call-outs for funding have been made to the Concordia Student Union, and the provincial Association for the Voice of Education in Quebec. Mobilization Coordinator with AVEQ Kristin Perry said it was unlikely that AVEQ will fund a bus for the event. On Nov. 20, the CSU’s external committee will vote on whether the CSU will fund two buses for the event, said Mobilization Coordinator Ahmed Badr. If the external committee agrees, it’ll go to council for approval two days after. The Link originally titled the Forum Validating Diversity and the Fight Against Discrimination as the Commission into Systemic Racism in our lede. The Link regrets the error.